I create this topic in the "Spoilers" section however, if this is not a spoiler, no one could transfer this topic to a new section. Turning to the theory, I was interested in one interesting point still the "Final battle trailer" where Ventus and Sora were captured by the Terranort chains, but despite the fact that he was on his feet in the new 15-second trailer, it seemed to me that it looks somewhat comatose, and here I had one rather insane theory that if at the time of the two new trailers Ventus still does not have a heart, tell me that this is just insanity and Ven simply could not stand on its feet. 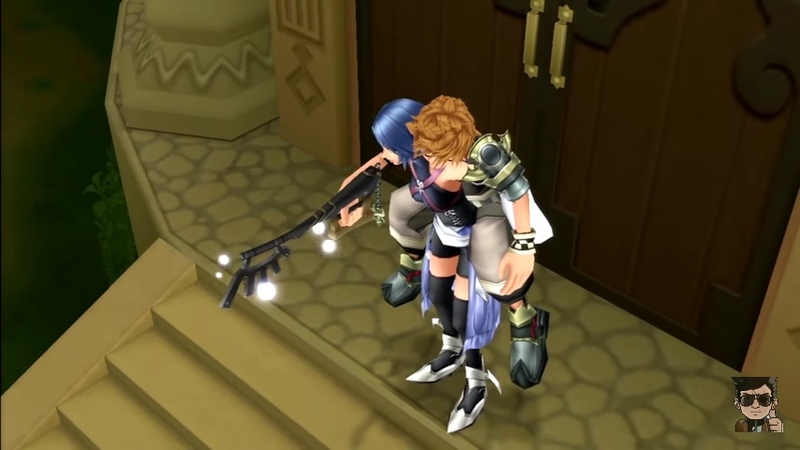 However, I will tell you If we recall the moment from the end of the BBS, we see when Aqua he carries Ventus to a secluded place, where the boy uses Keyblade and opens the portal with his help, despite the fact that he does not have a heart. He was in the past the leader of a whole group of keyblade warriors. And from his heart came a strong and dangerous Vanitas. Of course he must be very capable. We also know that nobody may well exist without even having a heart. Yes, they are other creatures, and Ven is a man, but at least he does not have a heart, but his mind is still there. 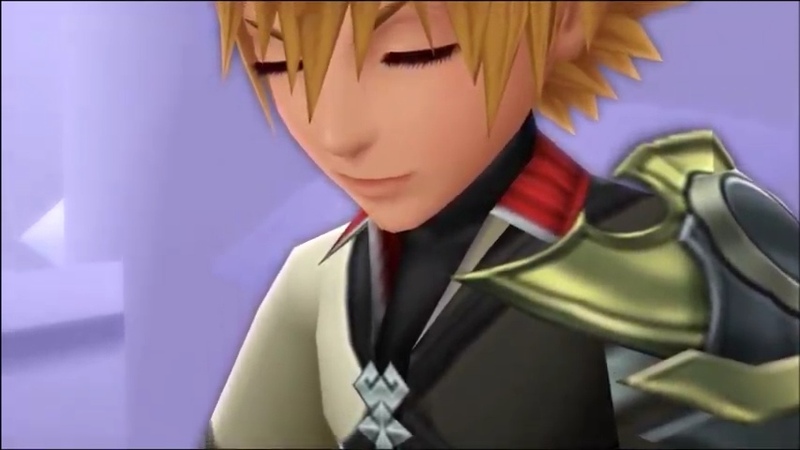 In DDD, we see him smiling when Sora is happy, thereby showing that the mind in Ven's body is still there. If you go back to KH3, then maybe Ven, while unknown to us, will be rescued from the Castle of Oblivion, and later come to the battle against Xehanort. Even without a heart, he will be able to stand on his feet, because having learned what Xehanort has done with Terra and Aqua will make him hold on with the help of will power. Perhaps the connection with Sora in which his heart is located will help him to be at least partially afloat enough to cause a keyblade and react to the world around him. Probably my theory is extremely insane and illogical, I do not hope that someone will answer me, but if it interests you, please let us know in the comments whether you agree with this theory or not.